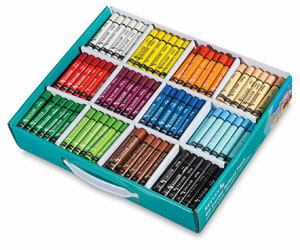 Reeves Large Oil Pastels are made from quality pigments, waxes, and oils. These vibrant colors have good lightfastness, and are formulated for smooth drawing and a wide range of effects. They blend easily and mix well on a variety of surfaces. Contains 24 each of 12 colors, an exceptional value for the classroom.